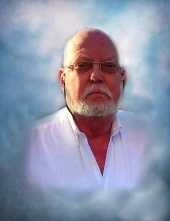 James “Jim” Crowe, age 64, of Dalton, passed away Thursday, March 21, 2019 at his residence. He was preceded in death by his parents, Harold and Juanita Crowe. He was a member of Poplar Springs Baptist Church. He is survived by his loving wife of 44 years, Judy Ann Crowe; sons and daughters-in-law, Billy and Sherry Crowe and Chad and Crystal Crowe, all of Dalton; and three grandchildren, Brian, Hayden and Parker Crowe. The funeral service will be held Sunday, March 24, at 2 p.m. at the Pleasant Grove Chapel of Julian Peeples Funeral Home with Rev. Gerald Foster officiating. Burial will be in Poplar Springs Cemetery. The family will receive friends at the funeral home Sunday from noon until the service time at 2 p.m.
Funeral arrangements are by Julian Peeples Funeral Home, Dalton. For more information, call (706) 259-7455.